Many people spend Sunday evenings quietly at home, relaxing before the new week's start. The 18th of October that was not the case for Glasgow based Editors fans. Rock band from England just couple of weeks ago released their brand new album “In Dream” and started their European tour. 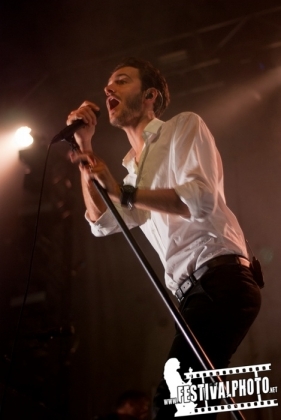 With quite many concerts being already completely sold out, Editors came to the Glasgow as well. Around 7 pm people were slowly gathering around O2 Academy and getting ready for the grand (as it turned out) concert. The supporting act was chosen Scottish rock band Twilight Sad, which made its way to the stage just ten minutes to eight, when quite a crowd was already waiting in front of the stage. Five piece rock band seemed to be quite a good fit to support Editors, although their set was way more melancholic and slower. Despite that, guys demonstrated quality show, vocalist seemed to let a lot of emotions out during the half an hour performance. When the clock hit 9 pm, packed O2 Academy hall started buzzing more – the long awaited Editors guys appeared on the stage. Slowly and elegantly with couple rays of light. They started with lovely sounds of “No Harm” from their brand new album “In Dream” and then rolled on, by picking more known “Sugar” as the second track and getting back to the new material with “Life is a Fear”. Audience seemed to love them from the very first sounds. As the lighting changed with each track, so did the songs – Editors prepared very solid set of 18 tracks from various albums, not including the encore. From the very beginning the stage was filled with a lot of various instruments and as is was possible to witness later on, almost all of the guys showed incredible multi instrumental skills. Even though Tom Smith was no big talker, he was in the centre of attention at all times: singing his heart out, leaning on the piano, dancing or rocking with guitar around. His voice seemed to be in the best form and that together with brilliant instrument skills of Chris Urbanowicz, Justin Lockey, Russell Leetch, Edward Lay and Eliott Williams made Editors performance outstanding and top quality. The music just flew down the stage straight to the listener's ears and souls, making them sing and dance along, or simply dream, while Tom Smith is singing “Smokers Outside the Hospital Doors” all on his own. The further it rolled, the more crowd got involved and in the end of it was nearly impossible to stand and not to move. Heat had risen, people danced and time together with Editors just melted away. After already more than one hour, the band left the stage just to come back for the long and fabulous encore. 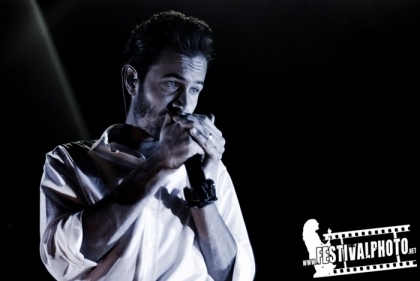 The encore consisted of two absolutely new songs and probably the most famous Editors song “Papillion”. To spicy up the encore, guys improvised a little and fans got the extended version of the above mentioned tracks. Just a little bit before 11 pm, the crowd spread out to the dark night, whistling melodies to welcome the brand new week. Editors definitely performed a stunning, vibrant show, which is hard to forget.